Cranko advertisement probably dating from late 1940s. 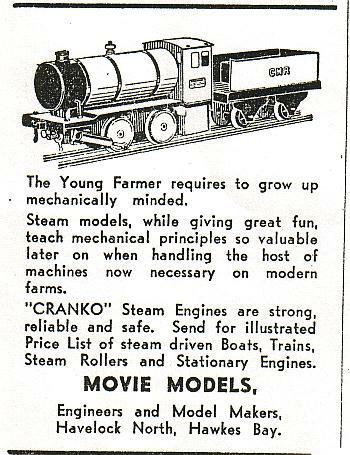 Cranko was a New Zealand brand who mainly made steam powered items. A few electric powered trains were made. Here is a railcar, a three unit train, and a `diesel` shunter. Cranko made three types of steam (methylated spirits fired) locomotives. 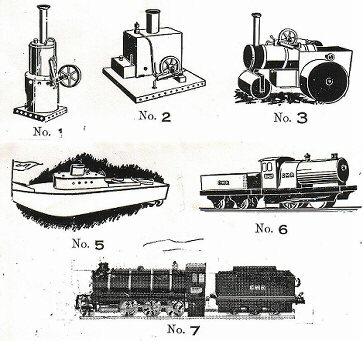 Other steam powered toye were made also - steam rollers, traction engines, steam tractors, cranes, etc. Earliest type of locomotive at front, (twin cylinders, reversing) , this was replaced early 1950s by the 2.6.0 and the simple `Mighty Atom` ( at rear). Mighty Atom had a single cylinder & flywheel in cab with gear drive to rear axle. 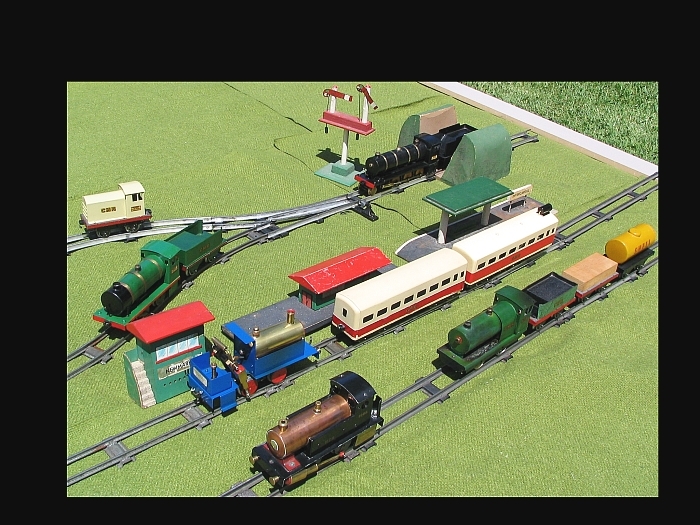 A range of rolling stock was made, also track. Plus some electric powered types, as shown above. Factory was in Havelock North, New Zealand. Production ceased mid 1950s. New Zealand made items by Cranko and RealRail. Train items made by Cranko, accessories by RealRail. New Zealand made toy trains. 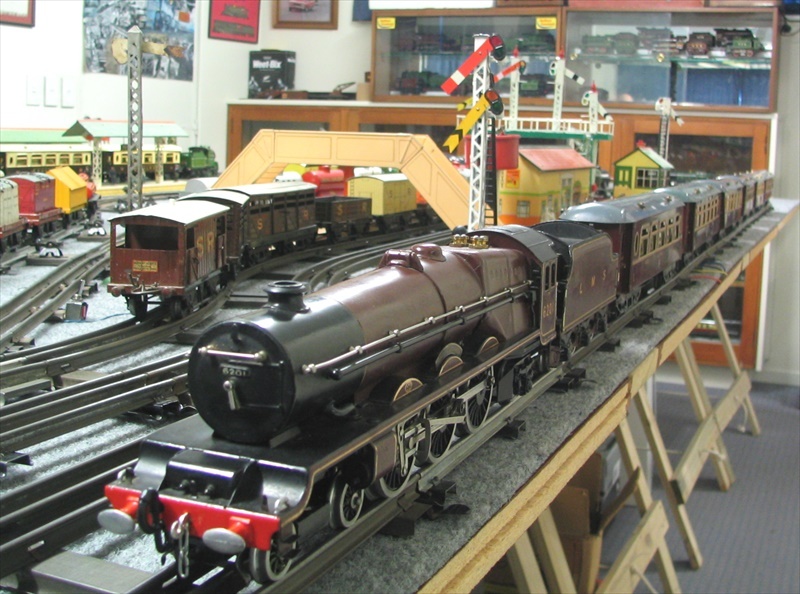 Two David Auld live steam locomotives, plus Cranko items and RealRail accessories. Evidence that RealRail accessories were exported to Australia. 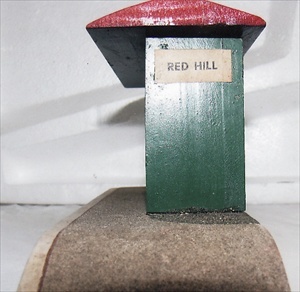 Red Hill is in Australia, no such place in New Zealand. RealRail named stations to suit the area to which they were sent for sale. RealRail bridge - upper photo above was a bit cheeky. Taken from RealRail`s price list, but shows a Hornby bridge and not RealRail`s crude offering, which can be seen at top left of lower photo. Anyone buying one from the price list would be disappointed when the item arrived! 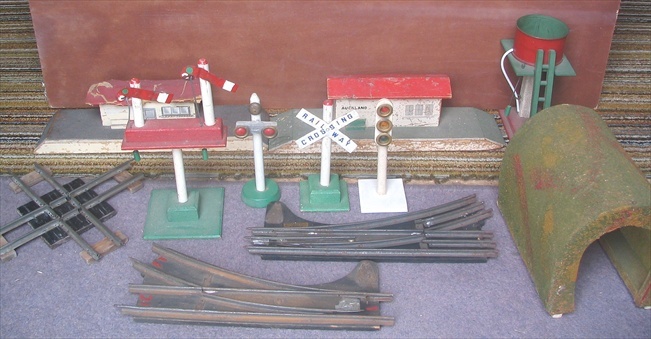 Lower photo shows Hornby and RealRail items together. Not quite the same! Another New Zealand brand was `Comet`. They made simple accessories and small range of wagons. Made in the 1940s and into the 1950s as far as is known. Comet wagons. There was also a tank wagon I believe. Made by Meccano Ltd but not called Hornby`. Early Bing style, a `British Express. and a `Playtrain` loco. Actually the Bing style loco shown here is a later model using the same body as the earliest version made in 1920.